Oriflame fragrance and perfume list. Oriflame Cosmetics is an international cosmetics company based in Luxembourg, Sweden. The company, using a multi-level marketing system to sell directly to their customers, has over 3.5 million associates and a presence in over 60 countries worldwide. 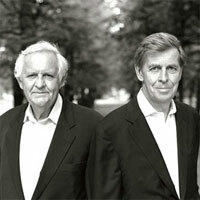 The company began in Sweden in 1967 by two brothers, Jonas and Robert af Jochnick. Their products include cosmetics, skincare, personal care, accessories, nutritional products, and perfumes.